Our guide on starting a proofreading business covers all the essential information to help you decide if this business is a good match for you. Learn about the day-to-day activities of a proofreading business owner, the typical target market, growth potential, startup costs, legal considerations, and more! What happens during a typical day at a proofreading business? Today, most of your work will be acquired and executed online, so you’ll spend plenty of time behind your computer screen. Also keep in mind that everything you write online will be seen as an example of your work, so be careful. You don’t want to be thought of as the proofreader with too many typos or spelling mistakes. Here’s how your time might break down. Attending to your online presence in terms of posting to your blog, contributing to social media, and updating/upgrading your website content. Anyone who writes for the public and requests proofreading assistance is a potential client. This could include editors and publishers, authors, business owners, or corporate communications clients, website owners, college and even high school students, ad agency creative directors, and the owners of small public relations firms, among many other client types. How does a proofreading business make money? You’ll charge your business or personal clients for your work. This might take the form of a per-page, per-word, or per-hour fee structure. What is the growth potential for a proofreading business? The business has picked up recently in at least one market area with the upswing of self-published novels. 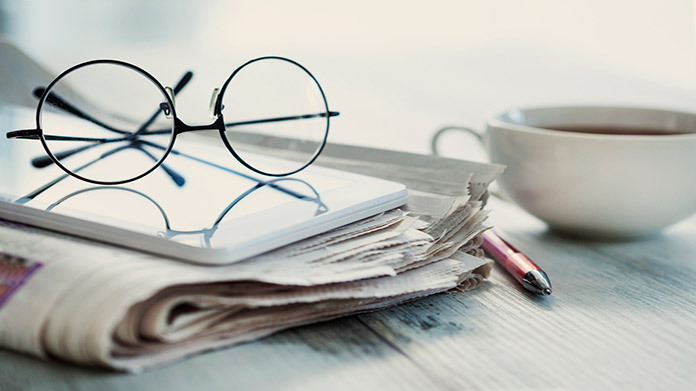 While authors in conventional editorial relationships can rely on their publishers to attend to proofreading responsibilities, independent authors are on their own. However, the proofreading field is highly competitive so it’s important that you carve out a niche where you can effectively compete. What are some skills and experiences that will help you build a successful proofreading business? Many proofreaders have at least an associate degree in a relevant field of study such as English or creative writing. Some have been previously employed as a proofreader for ad agencies, publishers, or others who review and implement a lot of writing. Your background in areas of language use will be highly helpful. What are the costs involved in opening a proofreading business? The good news is that your startup expenses will be very reasonable. All you really need is a place to work, which could easily be your home, a local coffeehouse, or a public library. You’ll also need a computer and WiFi access. Your computer expenses today might very well be less than $1,000. Some clients might insist that you have Microsoft Office or other software, which might cost you a few hundred dollars a year. Your web presence is also critical. You can find plenty of online sources for free websites, and you can probably write your copy yourself to save money. What are the steps to start a proofreading business? Form a legal entity. Establishing a legal business entity prevents you from being personally liable if your proofreading business is sued. Open a business bank account. A dedicated checking account for your proofreading business keeps your finances organized and makes your business appear more professional to your customers. What are some insider tips for jump starting a proofreading business? Start with a good team of advisers. You’ll get support, networking, and business advice by joining the various membership organizations open to you. This includes Editorial Freelancers Association, The Society for Editing, and The National Association of Independent Writers and Editors. Study each website closely to see which might be more advantageous to you, or join all three. Consider starting a blog as a way of displaying your writing and proofreading abilities. You might also specialize in areas of interest or proficiency. For instance, if you read a lot of mystery novels, approach small, independent publishers and indie authors about proofreading their self-published work. As another example, if you have an ad agency background, seek regular or as-needed assignments from agency creative directors. You might also use your digital presence to showcase the work you’ve been involved with, such as novels or magazine articles—with your clients’ permission, of course. Maintain an online presence; you can even search the web for corporations and non-profit organizations whose websites are poorly written or full of typos. You might have to call to find out who the decision-maker is, but offer your proofreading service when you have contact information. Be diplomatic though—don’t mention the poorly-written state of the web content. They probably already know there are problems with it. You might also find clients through the companies listed in this wrap-up of work sources for proofreaders and editors. There are many other broker services like these available online. And finally, whenever you have happy customers, see if they’ll provide a brief written testimonial you can post to your blog, website or social media. Many freelance proofreaders work alone, but if you find yourself with the fortunate challenge of having too much work and not enough hours in the day, you might consider adding gradually to your staff. Start with someone who can work with you on a freelance or part-time basis so you won’t have to lay off an entire team if workflow patterns change. You might find a talented English major at the local college or university who can give you 15-20 hours a week at a reasonable rate. Proofreading businesses should require clients to sign a services agreement before starting a new project. This agreement should clarify client expectations and minimize risk of legal disputes by setting out payment terms and conditions, service level expectations, and intellectual property ownership. Here is an example of one such services agreement. Recommended: Rocket Lawyer makes it easy to create a professional service agreement for your proofreading business when you sign up for their premium membership. For $39.95 per month, members receive access to hundreds of legal agreements and on call attorneys to get complimentary legal advice. A proofreading business can be run out of an office. Businesses operating out of a physical location typically require a Certificate of Occupancy (CO). A CO confirms that all building codes, zoning laws and government regulations have been met. Before leasing, confirm that your landlord has or can obtain a valid CO that is applicable to a proofreading business. Review all building codes and zoning requirements for your business’ location to ensure your proofreading business will be in compliance and able to obtain a CO.
That’s going to depend greatly on your area of specialty. Ad agencies and public relations firms might hire you for $25 an hour. For some clients, you might earn $3 per page. And when dealing with indie authors, charge what the market will bear. But however you charge, try to get a rate that’s equivalent to at least $25 an hour. 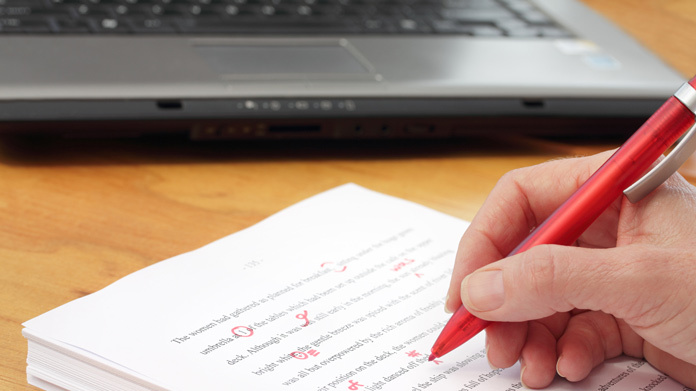 Here’s an interesting online article on proofreading fees. What are the ongoing expenses for a proofreading business? Your only expenses are likely to be the income you’ll need to support yourself day to day: rent (if you have an office), car payments (for traveling to and from meetings with clients), etc. How much profit can a proofreading business make? Revenue can be highly variable depending on your clientele and self-marketing skills. Here’s one wage estimate that shows a median salary of about $48,900 for proofreaders. Keep in mind that this is about salaried proofreaders rather than freelancers, so that will make a difference. You should make more since you must be concerned with the added cost of your own tax withholdings and benefits. If you feel confident enough in your writing abilities to add editing services to your repertoire, this generally pays more than proofreading.